It is a foregone conclusion that waste is not good for the environment and our healthy well-being. Therefore, it is imperative that everyone makes an effort to control garbage in their offices, commercial buildings, residential and industrial premises. Unfortunately, that is not what happens. Reason being; lack of time, space, knowledge, and just a negative attitude towards the initiative. This eventually leads to the millions of tonnes of rubbish being collected annually. The increasing rate of careless refuse disposal gave rise to the formulation of the waste Act among other measures. This is where the 3Rs come into place. They are; reduce, reuse and recycle litter. Waste is defined as an item which has exhausted its primary use. What most people do not realize is that apart from its main use, the product could get other subsidiary uses. Instead of filling up the trash can, it ends up serving other areas quite effectively. 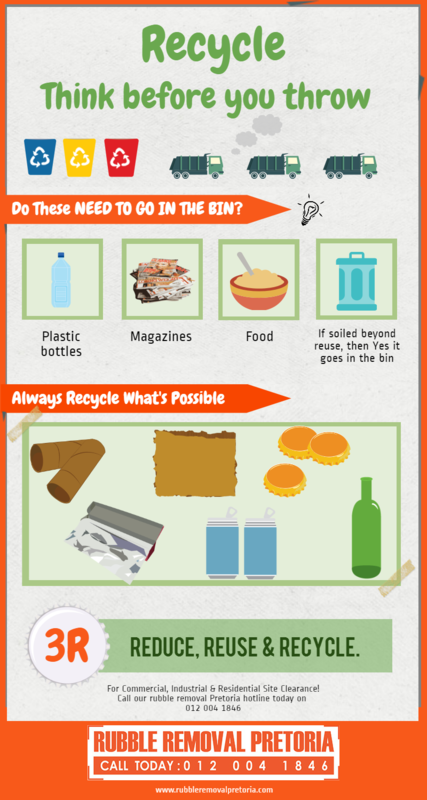 Good examples include used plastic bottles, tins, and magazines. We also have food remnants which can be used in anaerobic digestion instead of throwing them away. Better still, you could store it well and eat later or just cook enough for your consumption. Things such as glass bottles can be collected and taken back for recycling. Bottle tops and metal cans on the other hand, are easily improvised and reused. As for debris from destroyed buildings, it could just be crushed and utilized in a road or building construction. At the end of the day, these items will end up in any other place but not a dump site. That simply means less trash to deal with. By clearing away your unwanted items, you help to keep the environment clean and safe. It also minimizes the pressure on landfill sites which are being depleted daily. Working together with a qualified and experienced site clearance company will make things easier for those who have a hard time sorting out their clutter. After all, they have all the crucial tools and don’t forget they have been around for a couple of decades. If it is machines, they have the most advanced in the industry and their personnel are qualified and well-trained for the job. Lastly, they have the best prices in the entire region and its suburbs. All it takes is a single phone call to 012 004 1846.